Black Friday deals are here! 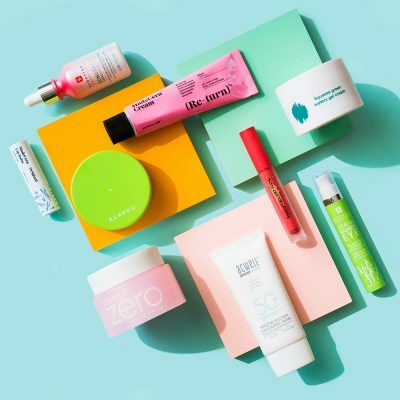 Below, we share our guide to shopping K-beauty at a discount. Not only do you not have to leave the comfort of your home to shop K-beauty this Black Friday, but you also don’t have to wait until Friday to get all of your shopping done. 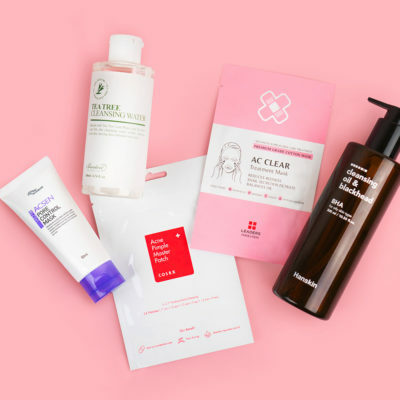 Soko Glam’s Black Friday sale is officially here, and this year, the site is offering two ways to score deals on the best K-beauty products: With specially curated value sets and with a 30% off sale. Let’s start with the sets. There are three available exclusively for Black Friday (from now until 11/27): A lip care treatment set filled with the essentials for preventing and treating chapped lips all winter long, a “slumber party” set that offers three ways to mask, and an anti-aging duo that contains two best-selling Easydew EX products. Then, a Neogen set of sensitive skin-friendly must-haves drops in time for Cyber Monday (available from 11/26 to 11/27). With these bundles you’ll save up to 50% off retail price. As for the sale, every product on the site (excluding sets) is 30% off with code SGBF18, which is both exciting and overwhelming. Need help figuring out where to start? Take a look at our top eight picks below, and then get to shopping because this kind of deal comes around but once a year. No one can deny that face mists are refreshing, but if you’ve ever questioned whether or not yours is doing much else, you’re not alone. The Acwell Licorice pH Balancing Essence Mist (was $24, now $16.80 with code SGBF18) stands out from the crowd because it offers so much more than a midday pick-me-up. The first difference you’ll notice is that the texture is more viscous than other mists. 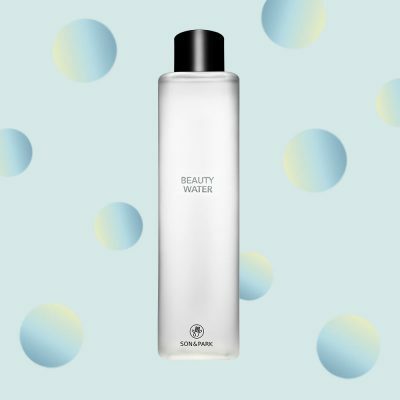 The alcohol-free formula is packed with lots of nourishing and soothing ingredients like licorice root extract, bamboo water, and centella asiatica leaf water. This doesn’t mean that it feels heavy on the skin (the mist is actually super fine), but that the refreshing and hydrating feeling and glowy look you get after spritzing actually lasts. Cystic acne is difficult to treat because the breakouts form deep in the skin and can be triggered by causes outside of your control like hormones. 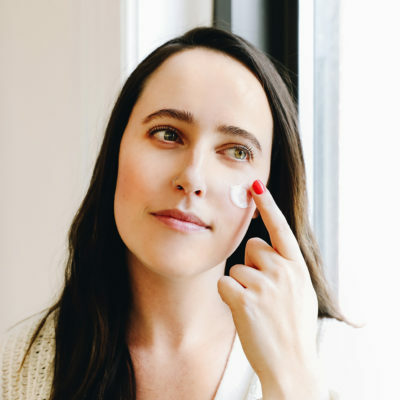 Unlike traditional pimple patches that only treat surface-level spots, the Acropass Trouble Cure patches (was $18, now $12.60 with code SGBF18) are able to get to the root of the issue thanks to innovative microneedle technology. The patches are dotted with thin crystallized serum “needles” that dissolve below the skin’s surface to deliver acne-fighting and calming ingredients and effectively reduce inflammation. There are winter coats and then there are winter coats. An example of the former is a wool pea coat. It looks good and is warm enough for your average, chilly day, but it’s not what you’re going to reach for when the forecast calls for a snow storm or biting winds. That’s when you grab your trusty weather-proof parka. The Skinrx MadeCera Cream is like that parka (was $36, now $25.20 with code SGBF18). 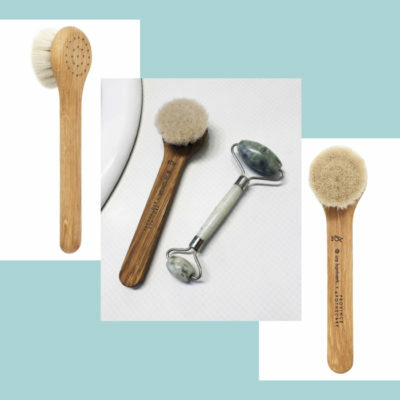 It’s packed with ceramides that plump, hydrate, and strengthen the skin’s barrier to help it retain moisture and protect it from the elements, as well as madecassoside to fight inflammation and adenosine to smooth. When your lighter-weight, everyday cream is no longer cutting it, you can count on this one to get your skin through the harsh winter months unscathed. So many acne treatments can be drying and irritating, which can be especially troubling during the winter. 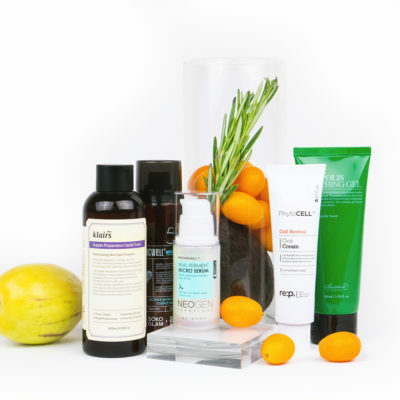 The Troiareuke Acsen TOC Toner (was $38, now $26.60 with code SGBF18) is formulated for those with both acne and sensitive skin which is one reason the brand has built a loyal following among skin care obsessives like influencer Joan Kim. The formula effectively targets breakouts with ingredients like glycolic acid and sulfur (just enough to get the job done without causing irritation), while keeping skin calm and happy with soothing plant extracts like centella asiatica and portulaca oleracea. The toner also helps gently speed up cell turnover to get rid of pore-clogging dead skin cells to prevent pimples from forming in the first place. If your hair is lacking in the volume and shine department, it may be in need of a detox. Product and sebum can cause buildup on the scalp and regular shampoo is not always effective at removing it. That’s where AMH Shampoo (was $38, now $26.60 with code SGBF18) comes in. It’s a cleansing shampoo that contains salicylic acid and zinc pyrithione to exfoliate, get rid of dandruff, help treat skin issues like seborrheic dermatitis, and improve overall scalp health. The Neogen Real Ferment Micro Serum (was $38, now $26.60 with code SGBF18) is your ticket to a glowing and even complexion, a.k.a. “honey skin“. The formula boasts 61% naturally fermented ingredients that boost collagen and moisture levels, improve skin elasticity, create plumper skin, and offer antioxidant and anti-bacterial benefits. Pair it with the Acwell Licorice pH Balancing Cleansing Toner and Neogen Real Ferment Micro Essence to really take your glow to the next level. We get asked for advice on how to choose an eye cream from first-time users all the time and the Mamonde Floral Hydro Eye Gel Cream (was $32, now $22.40 with code SGBF18) is our go-to pick. It’s lightweight yet supremely nourishing. The star ingredient is narcissus flower extract, which is able to lock in moisture for a plumper, more hydrated appearance – exactly what most eye cream newbies are looking for. Sheet masking is always a luxurious experience, but the Klavuu White Pearlsation Pearl Serum Mask (was $36 for five, now $25.20 with code SGBF18) takes things to the next level. As the product name indicates, the mask is drenched in a pearl extract-infused essence. Not only does applying pearl extract on your skin just feel indulgent, the ingredient also offers glow-inducing and anti-aging benefits. Additional ingredients include niacinamide, adenosine, and grapefruit that further brighten, protect, and rejuvenate skin. +What products are you buying this Black Friday? Share what’s in your cart below and happy shopping!